The heart of the Mission is its Couva ashram, administered under the able guidance of resident Acharya, Swami Prakashananda. Acharyas serve year round conducting various classes, satsangs and discourses across the Island. 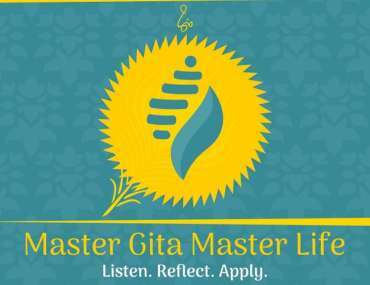 CMTT sponsors an active, year-round program of courses and discourses on sacred texts, and devotional and meditation practices that are aimed at making the teachings of Vedanta accessible to individuals of any background. Spiritual, cultural, and social service activities are also offered. CMTT’s ashram facilities include a temple and lecture hall, a high school, two pre-schools and primary school, the first Chinmaya Vidyalaya outside of India, and three residential hostels to accommodate students and guests. The Vidyalaya now have satellite centres in Debe, Gasparillo, Esmeralda, Barrackpore, Munroe Road and Chaguanas. Swami Prakashananda was born in California, Trinidad, in January 1964. He attended the Couva Private Grammar School in the late 1970’s. Upon completion of his secondary education, Swamiji migrated to Canada to pursue tertiary education at York University where he successfully read for a Bachelor’s degree in Political Science and Philosophy at Toronto’s York University. 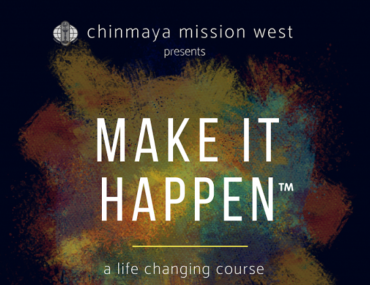 As a young seeker, he had his first encounter with this realized master Pujya Gurudev, Swami Chinmayananda – the founder of the Chinmaya Mission. This meeting awakened a deep-seated spiritual yearning in Swamiji and he eagerly sought permission from Pujya Gurudev to embark on this most noble journey. In 1991, Swamiji traveled to India to study Samskrit and Vedanta at Sandeepany Sadhanalaya. Mumbai. Upon completion of his studies in 1994, he was assigned to give discourses at various Mission centers across India and Nepal. Swamiji spent six years in India. Swamiji also pursued his law degree at Benares Hindu University after which he returned to Trinidad as Brahmachaari Prem Chaitanya. In 1997 Our revered Swamiji initiated Chinmaya Mission activities in our twin island republic. Thereafter began the longstanding tradition of his satsangs, yajnas and camps across Trinidad, the Caribbean, the U.S., Canada, and the United Kingdom. Through his great dynamism, selfless disposition, humility, charisma, astute leadership style, unique presentation style, and his commitment and dedication to serving the noble Sanatana Dharma tradition, he established and continues to spearhead the Chinmaya Mission Trinidad and Tobago. The Chinmaya Mission Ashram was the brainchild of our revered Swamiji. A piece of almost barren sugarcane land was transformed into the now highly productive, dynamic Chinmaya Ashram, officially established 2nd of October, 1997. Over the past 16 years, the Ashram has mushroomed into a unique beacon of learning both in the academic and spiritual realms. It continues to add its richness to the diversity of our plural society. Pujya Guruji, Swami Tejomayananda initiated Br. Prem into sannyasa as Swami Prakashananda on Mahashivaratri, in 2005. 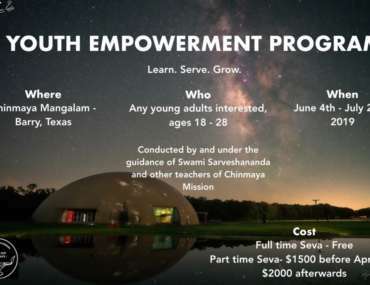 Among the countless positive endeavors of the Ashram, Swamiji has personally conducted hundreds of yajnas, spiritual camps, courses in Sanskrit and Vedic Chanting, and established study groups for children and adults. In addition, there are numerous charitable projects assisting needy communities and families, and several religious symposiums. If this wasn’t enough, the Ashram also runs schools under the name Chinmaya Vidyalaya , with centers in Mc Bean, Debe, Gasparillo, Barrackpore, Penal Cunupia and Felicity, all of which continue to add value to, and positively impact the lives of thousands of our children and citizens, contributing to their spiritual, personal and intellectual development. In recognition for the selfless community service rendered by our Pujya Swami Prakashananda, the government of Trinidad and Tobago awarded him with the Chaconia Gold Medal in 2012. Swamiji has conducted two residential Vedanta & Sanskrit programme at the ashram and is in preparing to start the third in 2016. This translates into him making a tremendous sacrifice to impart the ancient wisdom of the Rishis to the Brahmacharis and Brahmacharinis who have availed themselves to this life transforming experience.